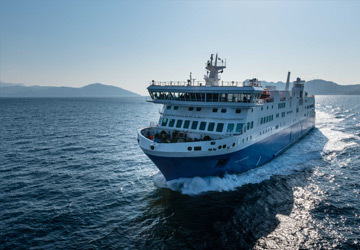 The Thira Milos ferry route connects Cyclades Islands with Cyclades Islands and is currently operated by 4 ferry companies. 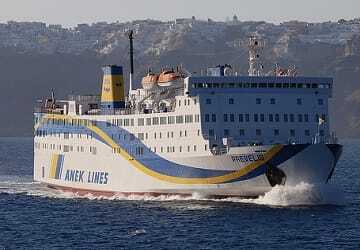 Anek Lines operate their crossing up to 1 times per week, Zante Ferries 1 times per week, Sea Jets 14 times per week & the Golden Star Ferries service is available up to 7 times per week. 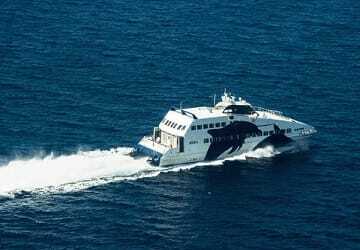 There are a combined 23 sailings available per week on the Thira Milos crossing between Cyclades Islands and Cyclades Islands and with 4 ferry companies on offer it is advisable to compare all to make sure you get the best fare at the time that you want to travel. Prices shown represent the average one way price paid by our customers. The most common booking on the Thira Milos route is a car and 2 passengers. This boat is a bit old, I would highly recommend upgrading for the business class as the economy class is very cramped and full. I believe that taking SeaJets is the best way to travel from Santorini to Milos though. Almost perfect organization, there was just no help where to get the tickets and where to go to boarding. To have information I had to call the number on my booking reservation twice. (During the first call they sent me to the old harbour of Thira where there is no Seajet). I advice the company to give more accurate informations in the confirmations email, and to train better the staff of the customer service. Booked the tickets from home, paid with credit card, once at the port it was enough to present the confirmation printed to received the tickets. The ship departed in time and arrived punctual. We spent a week of holiday in Santorini and one in Milos (amazing island you must visit it) and to move from one to another we used, as some friends reccomended, ferries. There are fast and slow ships. In August you cannot choose to travel with the fast one because of the price 2h30m to go from Santorini to Milos for €200 for 2 adults, or the half price with a slower ship. We decided for the fast one and it was punctual and comfortable. Recommend it. Bring food with you or wait to get to the island of destination (the two ports are well equipped). Clean toilets. In conclusion highly recommeded. Percfect time, efficient, fast during boarding and landing procedures, kind. 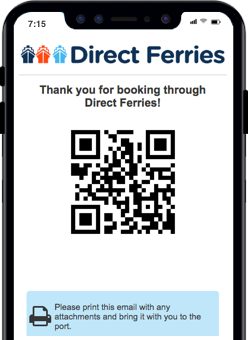 "Easy and efficient service tickets withdrawal"
Good journey, fast and comfortable, delay departures on both ways.